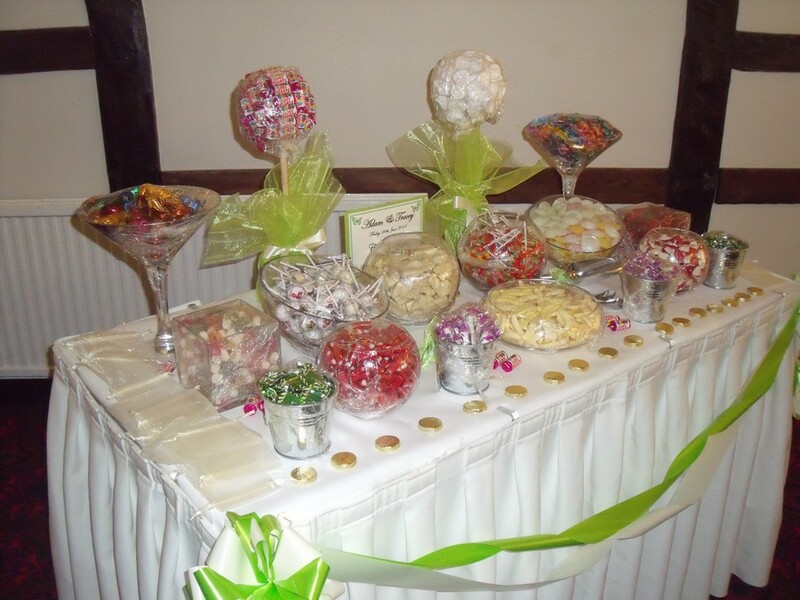 A large majority of weddings now have Sweet Tables for their guests to enjoy, no they are not just for children ! We incorporate a wide range of confectionary, so there is something to appeal to everybodies taste buds, we can colour co-ordinate to match your theme or you could go retro and have all the colours of the rainbow. For added appeal all sweets are displayed in a variety of interesting glassware from giant martini glasses to fish bowls and even sweet trees. 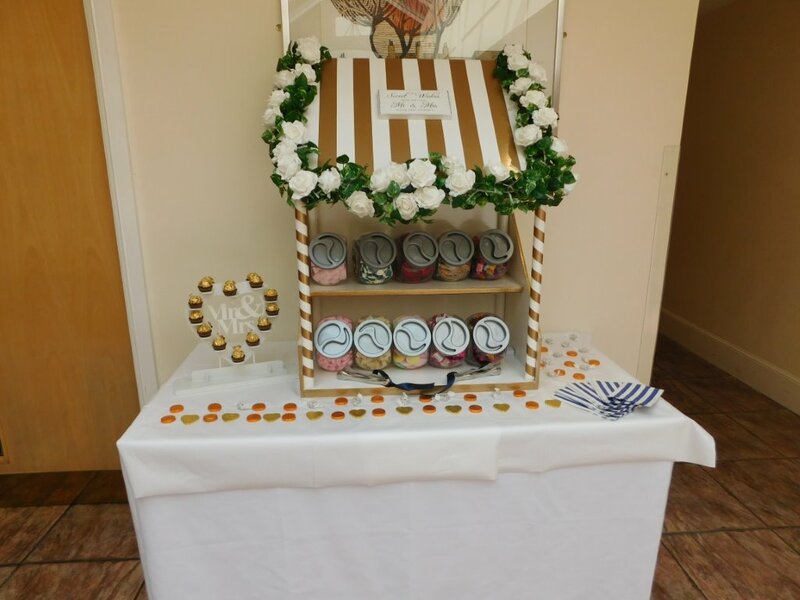 All glassware, colour co-ordinating table decor, sweet bags, confectionary, set up and dismantling at the end of the evening are all included in our price. For something completely different a large Sweet Tree as a table centre piece pleasing to the eye and great to eat, what a treat. 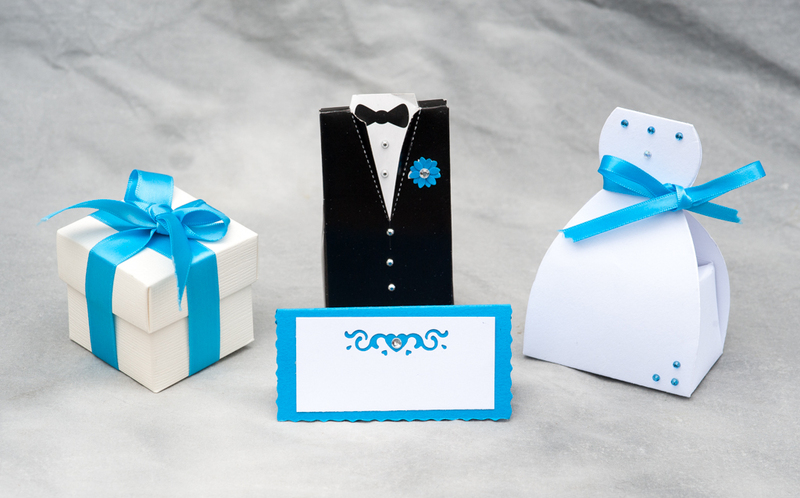 For the more traditional we offer a range of Favor Boxes and Favor Bags with a choice of sweet fillings.